Continue reading "Mary Coleman, District Nurse"
Continue reading "Gravestones and Monuments of the Hill of Ward Cemetery"
Part 4 our journey through Athboy Times Past. Continue reading "Headstones & Monuments of Moyaugher Graveyard"
Continue reading "Athboy Times Past – Vol. 3"
Continue reading "The Athboy Railway Station"
The Freeman's Journal Obituary for Fr. Thomas McCullagh Athboy Parish Priest who died in 1872. 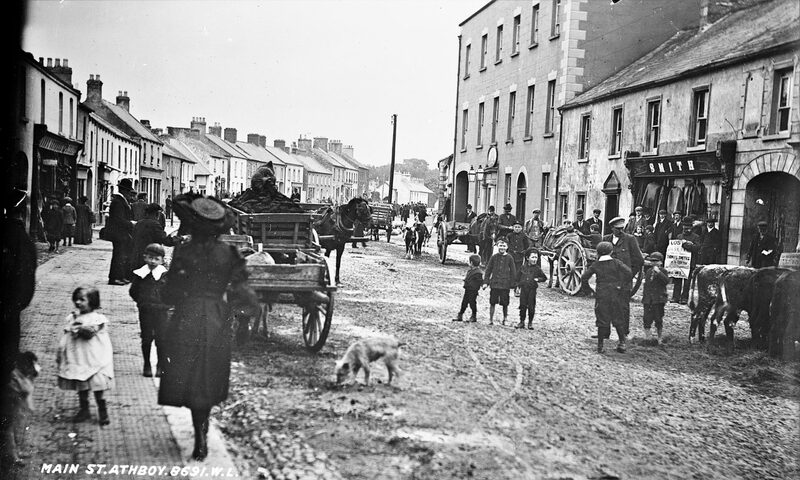 Continue reading "Life In Athboy In 1916"